This July, Gabriel Marguglio and I completed the pipeline generation bootcamp presented by Dan Tyre and HubSpot. These sessions taught us the confidence, persistence, and tactics required to effectively prospect through warm outreach to contacts. Even now, as we are armed with the tools and skills necessary to be successful, prospecting is still difficult, even as you do your best to establish a relationship, earn trust, and build credibility with a complete stranger. Watch our video about what we learned in Dan Tyre’s bootcamp. It does not stop there though. 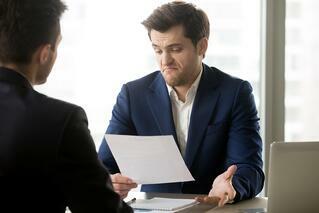 The rest of the sales process can be just as frustrating at times. You may have several calls with a lead and their team, you’ve taken the time to understand their goals and challenges, they are a great fit, and you can solve their problems! Done deal right? All of a sudden, you are not hearing back from them as often. They drag their feet. “But, I thought they said this was urgent,” you say to yourself. “Maybe they just need to get more internal buy-in,” you think as you begin to falsely justify their absence. They ultimately disappear and you are left, yet again, looking for an answer as to why. 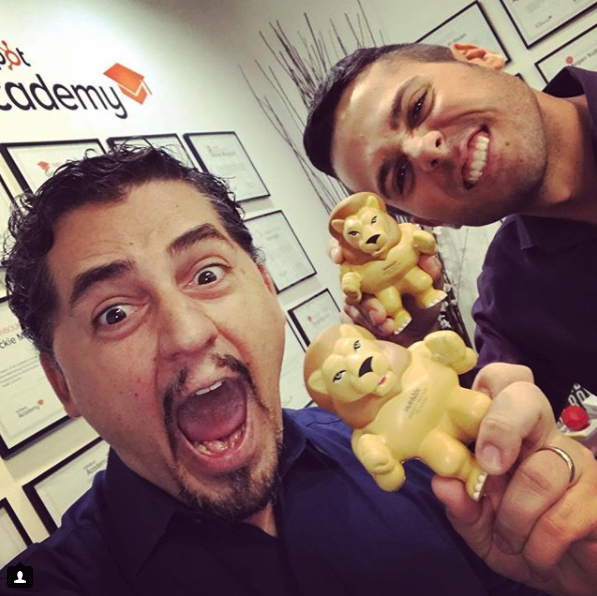 After completing Dan Tyre’s bootcamp, we found it only fitting to continue honing our skills in pursuit of becoming the ultimate SALES LIONS (the term that Dan Tyre and David Weinhaus call their bootcamp students) by entering yet another bootcamp. Our goal was to be well-versed in the entire sales process to avoid the secondary frustrations we were experiencing. We were not disappointed. What if the answer to not letting leads go dark was much simpler than we thought? David Weinhaus, a Sales Enablement Partner for HubSpot, talks about “The 3 Sale Sale” in his Sales Skills Bootcamp. This breakdown of the sales process is also encouraged by sales expert, Doug Davidoff. Sale #1 - Why Change? This is, arguably the most important sale of the three. In this sale, you are addressing which problems the prospect is encountering and why the current method of solving it is not getting them where they want to be. It is important in this stage to identify the challenges being faced by the prospect, understand and sympathize with the fact that the approach currently being used is not effective in solving it, and reiterate that it needs to be changed because of its effect on other aspects of the business (ex: reaching growth goals). How often do you hear a lead say that they decided to go with a less expensive option, or that they were going to stick with what they had been doing, but slightly modify it? They were not sold on the fact that a different approach would yield better results. If you can sell a prospect early in the process that they need to change, they will be much more open to your alternative solutions presented in later discussions. After gaining an understanding of the prospect’s challenges, current strategy, and willingness to change, you can then begin selling them on the solution to their problems. Lion Tip: Your company is not the solution...yet. During the second sale, the idea is to have a collaborative, give-and-take discussion regarding the best approach to solving their problem. This sale allows for the opportunity to align your ideas and address the root causes of their problems beyond the obvious, minor needs. This is also a great opportunity to communicate the positive impact, whether in monetary or other ways, that solving this problem will have on their business. The reason that you are not the solution yet, is that they have not been sold on what you offer yet, let alone you as the right choice to help with that solution. By staying away from selling yourself during this sale, you establish trust and credibility in an advisory role. After the prospect understands that change is necessary and is in alignment with you on the type of solution they need, they are going to have to make a decision on how they are going to implement that solution. At this point, they are deciding who they are going to buy from. Do what you do best. Talk about your company, what makes you different from competitors, how what you offer is different from what they already do, and how you will assist in the solution. As hard as it may be, especially for salespeople with a lot of passion for their product, Sale #3 needs to be saved until Sale #3. Even if you sell your company like an absolute pro, contacts can still go dark. So why do contacts go dark? Contacts typically go dark because we have not solidified Sales #1 and #2 before marching into Sale #3. If a contact is not sold on the fact that they need to change, or does not believe that a different solution (more specifically the solution you can offer) will yield a different result, then how could they possibly be sold on working with you? For example, let’s say that your business sells more cost-effective air conditioning units. Your potential customers may already identify that the cost to run their units is high, but not understand why a different unit would do any better. You need to sell them on the need to change (that their current unit will not make their cost any lower) and then sell them on the solution (that a more modern unit has cost effective properties about it that can solve that problem) before selling them on your specific unit. In this way, the “3 Sale Sale” is not just for agencies trying to sell strategy solutions to new customers. This sales approach can be applied to every sales situation, regardless of the product or service, or whether it is B2B or B2C. As a result, we are beginning to incorporate this idea into our sales enablement strategies for our own customers, as well as ourselves. We had the opportunity to put this into practice for ourselves during the course. A lead we had been in conversations with, a company that was a great fit for us, decided not to work with us. We were crushed. However, we realized from our conversations that it was because they had not been truly convinced yet on why they needed to change. After repositioning the conversation, they came back a week later and we are proud to say we have already kicked off their strategy and started the process of growing the business in partnership together. How many times have you rushed through Sale #1 and #2 and lost a deal because the opportunity was not even sold on change? To discuss your marketing and sales strategy with our team Contact Us today.